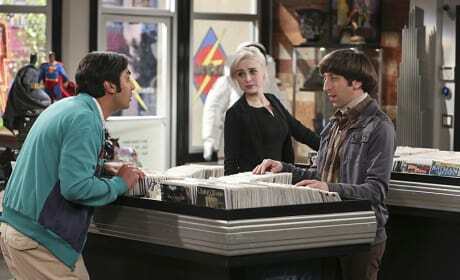 Raj gets some advice from Howard and Bernadette after meeting a new girl in the comic book store. How will this change his relationship with Emily? Howard and Bernadette look at happy and adorable as they usually do. Howard either has a rose because he's done something wrong, or because he's making a sweet gesture. 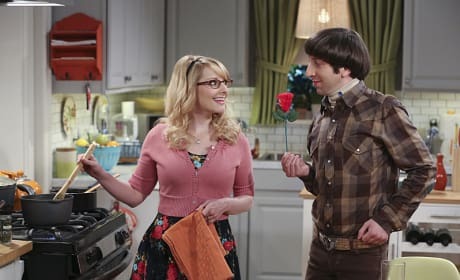 So, apparently Sheldon is so excited that he has to have Penny smell a piece a paper. Perhaps it's a letter from Meemaw? At least Penny is a good sport. Sheldon is thrilled that his Meemaw is planning to come for a visit, and he can't wait for everyone to meet her. I wonder what she'll think of all of his friends? Raj meets a new lady at the comic book store, and she makes him question his relationship with Emily. Well, that may actually be a good thing, since Emily seems a bit crazy anyway. Is anyone else finding it difficult to trust that chick? 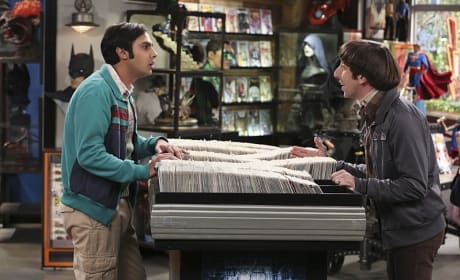 This isn't just any trip to the comic book store for Raj and Howard. 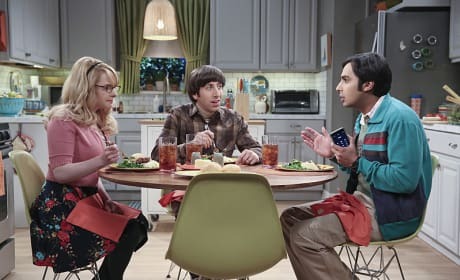 In fact, this trip may just be a turning point for Raj when he meets a new girl there. But will he be able to speak to her? 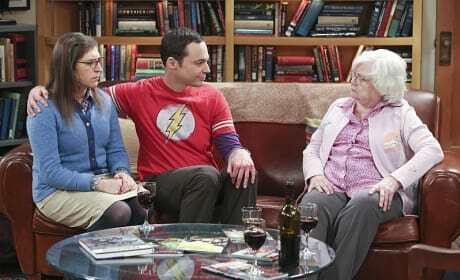 Sheldon is excited when Meemaw comes to visit, but Meemaw is less than impressed with Amy Farrah Fowler. It's likely no one is actually good enough for her "Moon Pie," and she isn't afraid to make that fact known. 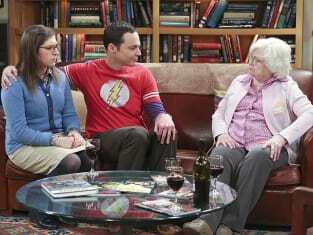 Sheldon is thrilled when Meemaw visits on The Big Bang Theory. 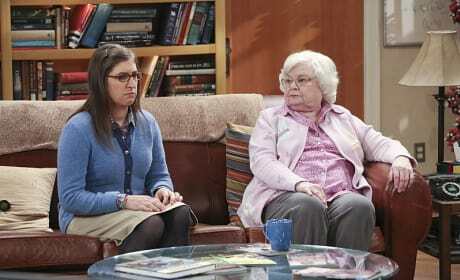 "The Meemaw Materialization" is the 14th episode of the show's ninth season.